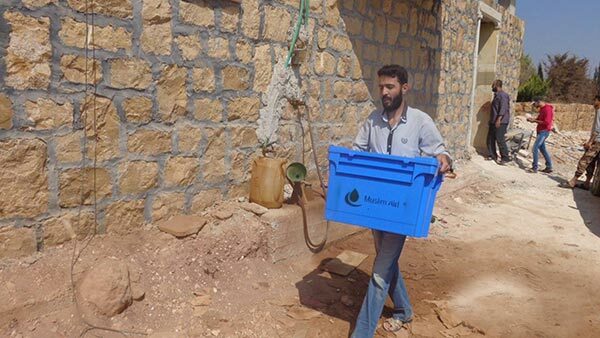 Last month, Muslim Aid distributed Aqua Boxes to internally displaced families in Aleppo and Idleb as part of its emergency response to the crisis in Syria. Many families living in the camps do not have access to clean water and have been suffering from serious diseases such as typhoid and diarrhoea, in some cases death. The Aqua boxes will go a long way in providing communities with water filters and good hygiene in order to protect them from further waterborne diseases. 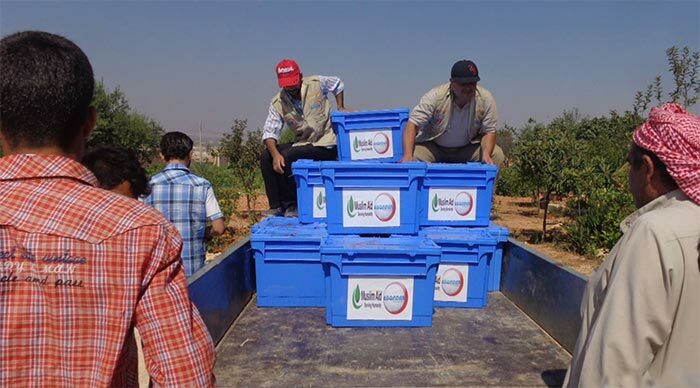 Since the beginning of the Syrian war, Muslim Aid have been on the ground providing emergency relief to Syrians affected by the crisis.